Do you have a strong marriage? 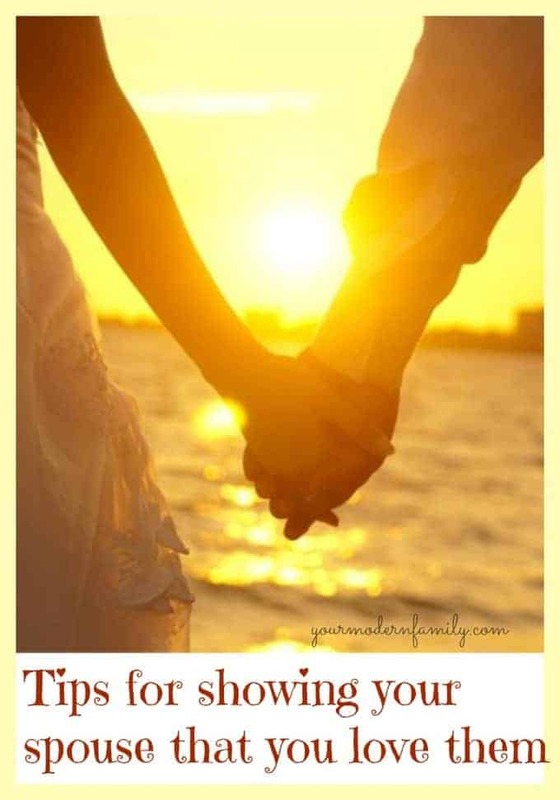 Do you feel loved or do you think that you show your spouse that they are loved? My husband and I have been together since we were teenagers (around 14 years old). We dated through high school and college (separate HS’s and separate colleges). We have been married for over nine years. We decided, before we got married, that we would take whatever life threw our way and we would lean on each other and never let anything pull us apart. We work at our marriage every day. We speak each other’s language…. love language, that is. I owe a lot of how we understand each other to reading this book, The Five Love Languages, early on. 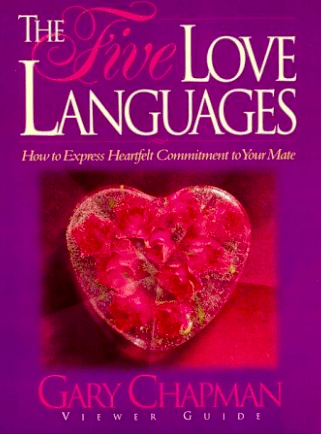 When we were married, my friend gave me the book The Five Love Languages and we have now read many times. It never gets old and we always take more away from each reading. My friend told me that there were three of us involved in a marriage: Myself, my husband and God. You can’t make it if one of those aspects is missing. This book, she said, would teach us how to show each other every day how much we loved the other one. It has. There are 5 languages and you each have one (or more than one), but it is important to understand it and speak it. Imagine if you spoke english and your husband spoke another language. Would you be able to understand what he was telling you? Could he understand what you are telling him? It is the same with the love languages. You need to speak each other’s love language to let the other one know that you care. It may be “You work so hard for our family” or “Thanks for fixing the TV- you’re always helpful” or “The yard looks nice.” These little phrases will take your relationship far if this is their love language. A simple “thanks for cooking dinner” will go miles if this is your love language. 2- Acts of service- Does it bother you when your husband or wife doesn’t help out around the house? This may be your love language. This one is easy to fix- help out. When your husband does the dishes or cooks dinner, does it make you happy? Do you feel more ‘loved’? Do you cut the grass for him or does he do laundry for you? This may be your love language. 3- Gifts: Do you feel most loved when you are receiving a gift? What about when you give gifts? Is this how you show your love? This is probably last on both mine and my husband’s list, but I know that it is top on a close friend of mine’s list. It is probably her number one. She feels the most loved when she gets gifts from her husband (but her husband does not have this love language, so he has to make a special effort to remember this.) If your spouse has this love language, you will make them feel loved the most when you are giving them gifts- whether it be for holidays or just because you care. 4- Physical Touch: This could be as simple as a back scratch or holding their hand. Walking by and touching their arm or sitting close during a movie. Think about an infant or young child. We make them feel loved when we hold them, carry them, hug them- it is the same with adults that have this love language. Touch is an easy way to communicate love. 5- Quality Time: This one is easy- give your spouse your 100% undivided attention. This means pushing pause or turning off the TV when your wife sits beside you to talk. It can be playing a board game at night, without any distractions. Taking a walk together, going on a bike ride, a trip to the movies. Anything where you are focusing on them. Now, in the book, it will ask you questions to decide exactly which one is your love language. Gary Chapman, the author, says that we each have a Love Tank, similar to a gas tank. It gets empty and to refill it, we need our spouse to just show us how much they love us. If you are a gifts person, a little card might be all that you need to feel “full”. Maybe its a hug or a kiss on the cheek? Would a board game or walk around the block do the trick? Maybe he could do a load of laundry for you? 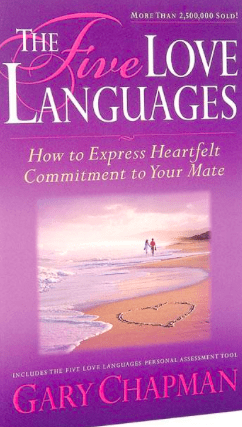 Whatever your love language is, figure it out together and learn your spouses language, as well. This book will DEFINITELY help any relationship, even if it is already wonderful. If your relationship is struggling, I would recommend this book in a heartbeat! (well- even if its perfect, I still recommend it). I know that they also have this available in small-group study format, because we have done studies with this book as the topic. There are 2 covers, so I will include pictures so that you recognize it if you decide to head out to get the book (or order it). What is your love language? Have you read the book? COMING TOMORROW (WEDNESDAY)- MY #1 MUST-DO TIP FOR A HAPPY MARRIAGE. What a beautiful piece of writing. “Myself, my husband, and God”………so true. Marriages would be so much stronger if we all remembered that one piece. I’ve got my husband’s love language figured out. I’m not sure about my own. I think I am more than one…….aka high maintenance. LOL! Thanks for writing this.